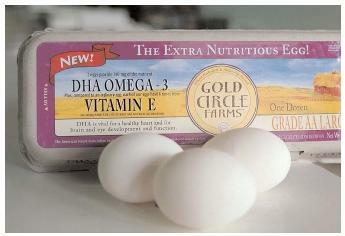 By feeding their hens a modified diet, some farms have increased the amount of omega-3 in the eggs they sell. These eggs are considered to be functional food because their higher omega-3 content can improve the health of consumers whose diets are deficient in that fatty acid. 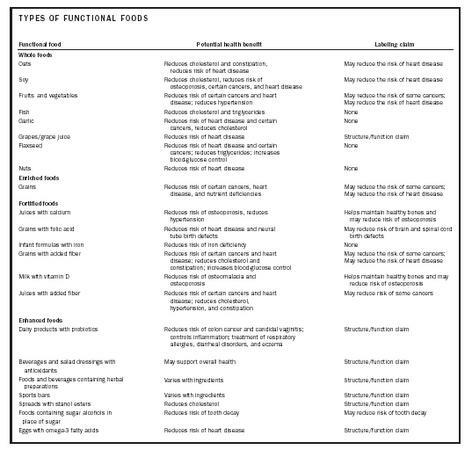 and changing government marketing and labeling regulations have also had an impact on the functional foods market. SEE ALSO Antioxidants ; Phytochemicals .